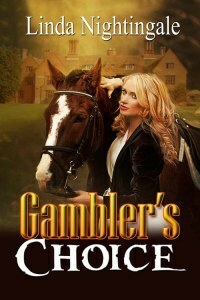 A Gambler’s Choice is a jumping class in a horse show. The riders race the clock as the fences are raised after each clean round until only one remains–the winner–the blue ribbon. She wants his horse. Only those dedicated to the equine, perhaps, will understand how serious the contest between Austen Heath and Becca McQuaid is.